It often feels overwhelming when you find out it is medically necessary to change your diet. Food is intertwined in our lives in so many ways and suddenly your dietitian or doctor asks you to try the low FODMAP diet. While you may receive some education on the topic and understand the basics, the challenge of putting this diet into practice does not evade you. Follow this step-by-step guide to make low FODMAP meal planning a no-brainer! 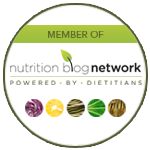 Read about the low FODMAP diet before getting started. Where are carbohydrates found? Think about plant-material (fruits, vegetables, grains, legumes, nuts) and lactose sugar found in milk products. This concept will help you as you become a FODMAP detective during the next steps! Make a chart and write down the top 3 breakfasts, lunches, dinners, and snacks you like to eat throughout the week. · Breakfast Oatmeal with chopped apples, raisins, maple syrup, and cinnamon. Coffee with creamer. Whole wheat English muffin with butter, 2 scrambled eggs with cheddar cheese. Coffee with creamer. Honey nut cheerios with 2% milk and sliced bananas. Coffee with creamer. · Lunch Chipotle burrito with white rice, black beans, fajita veggies, grilled chicken, corn, salsa, shredded cheese and lettuce. Sliced turkey on rye bread with Swiss cheese, lettuce, tomato, onion, and mustard. Side of pretzels with hummus. Spinach salad topped with tuna salad (mayo, celery, garlic powder), shredded carrots, sliced cucumber, Italian dressing. Side of grapes. · Dinner Baked salmon with steamed broccoli with parmesan cheese and baked sweet potato (add butter) Pasta with marinara sauce and homemade meatballs (breadcrumbs, garlic, onions, ground beef), with side of sautéed spinach (olive oil, garlic) Sushi- spicy tuna roll and salmon avocado roll with soy sauce. Side of miso soup. Next, take out your High FODMAP food list. Now, take a highlighter and mark off all of the foods on your meal/snack sheet that are considered high FODMAP foods. · Breakfast Oatmeal with chopped apples, raisins, honey, and cinnamon. Coffee with creamer. Whole wheat English muffin with butter, 2 scrambled eggs with cheddar cheese. Coffee with creamer. Honey nut cheerios with 2% milk and sliced bananas. Coffee with creamer. · Lunch Chipotle burrito with white rice, black beans, fajita veggies (bell peppers & onions), grilled chicken, corn, salsa, shredded cheese and lettuce. Sliced turkey on rye bread with Swiss cheese, lettuce, sliced tomato, sliced onion, and mustard. Side of pretzels with hummus. Spinach salad topped with tuna salad (mayo, celery, garlic powder), shredded carrots, sliced cucumber, Italian dressing. Side of grapes. · Dinner Baked salmon with steamed broccoli with parmesan cheese and baked sweet potato Pasta with marinara sauce and homemade meatballs (breadcrumbs, garlic, onions, ground beef), with side of sautéed spinach (olive oil, garlic) Sushi- spicy tuna roll and salmon avocado roll with soy sauce. Side of miso soup. Now take out your Low FODMAP food list. Recreate your above meal/snack sheet but swap out the high FODMAP foods (highlighted) with suitable low FODMAP alternatives. · Breakfast Oatmeal with ½ c sliced STRAWBERRIES, 1TBS raisins, MAPLE SYRUP, and cinnamon. Coffee with ALMOND MILK. GLUTEN FREE TOAST with butter, 2 scrambled eggs with cheddar cheese. Coffee with LACTAID MILK. GLUTEN FREE cheerios with LACTAID MILK and sliced bananas. Coffee with ALMOND MILK. · Lunch Chipotle BOWL OR SALAD with white rice, grilled chicken, 1/2C corn, shredded cheese, and lettuce. Sliced turkey on GLUTEN FREE BREAD OR LETTUCE WRAP with Swiss cheese, lettuce, sliced tomato, SPROUTS, and mustard. Side of RICE CAKES/CRACKERS. Spinach salad topped with tuna salad (mayo, celery, BLACK PEPPER), shredded carrots, sliced cucumber, OIL/VINEGAR. Side of grapes. · Dinner Baked salmon with steamed 1/2 C broccoli with parmesan cheese and baked ½ C sweet potato RICE PASTA NOODLES with OLIVE OIL & ITALIAN SEASONINGS and homemade meatballs (GLUTEN FREE BREADCRUMBS, ITALIAN SEASONING, ground beef), with side of sautéed spinach (olive oil, BLACK PEPPER) Sushi- spicy tuna roll and salmon 1/8 WHOLE avocado roll with soy sauce. Side of miso soup. Follow your homemade meal plan, rotating between the meals and the snacks for the first 2 weeks on this diet. Make sure you have ideas of what to order when you eat out, but your choices can be similar to those on your meal plan. When you finally feel you need some variety in the diet, do the same activity of creating the meal and snack chart with fresh ideas and go through the highlighter technique again. Swap out any of your ideas that contain high FODMAP foods with low FODMAP foods. Remember, this diet is not intended for long term use. It is advised after a few weeks (3-8 weeks) to begin the FODMAP reintroduction process. 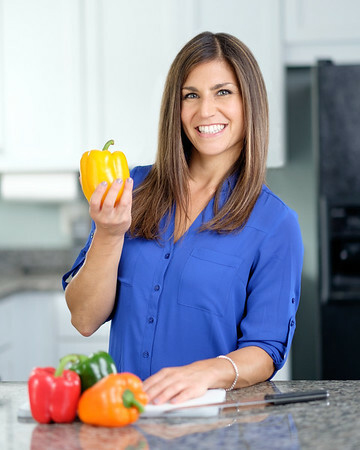 If you would like additional tips and tricks for implementing the low FODMAP diet to help manage your gastrointestinal symptoms, make an appointment with me today!